Jul 18 10 of Our Favorite Farm Wedding Venues in the U.S. 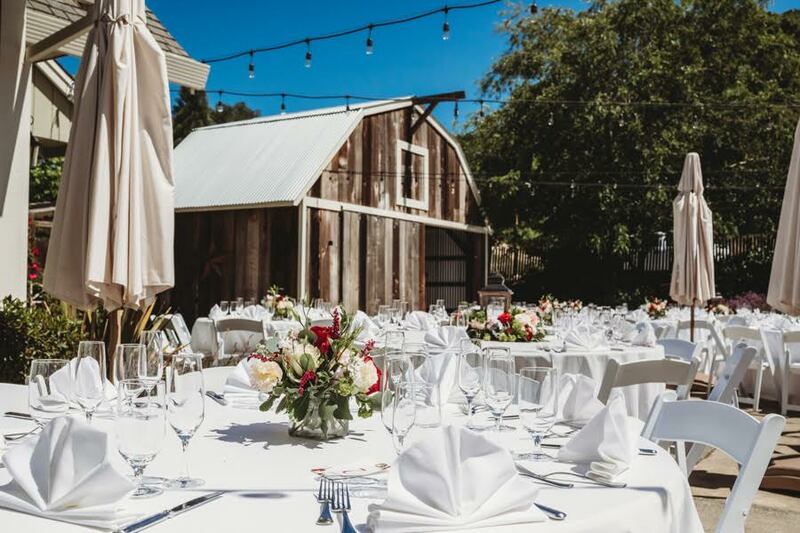 Known for intertwining a sense of rustic chic with affordability, it’s not surprising that farm and barn wedding venues have become so popular. Every state has its little slice of unique countryside dappled with scenic farms, allowing soon-to-be-wed couples to enjoy this unique setting anytime, anywhere. Whether you hope to tie the knot among the endless plains of the Midwest or nestled amidst the peaks and valleys of the coast, any soon-to-be-wed couple can discover a farm venue option that suits their tastes and preferences. Consider kicking off your life of wedded bliss at one of our 10 favorite farm venues from across the country. Tucked away on a secluded property surrounded by rolling pastures, The Barn at High Points Farms offers a singular combination of timeless elegance and rural charm. Known as a flower farm, the abundance of lush flower beds on the property not only offer gorgeous backdrops for wedding photos, but also can be used to create unique floral arrangements for decorating on the big day. Imagine saying your “I do’s” in a woodland grove surrounded by flourishing gardens, creating an enchanting farmland feel with the mountains in the distance. Dance the night away in the spacious vintage-style barn that has been styled to perfection, artfully intertwining the chic and the rustic to create a one-of-a-kind setting. In addition to these beautiful spaces, the farm offers you and your guests the opportunity to feed adorable on-site goats, toast to the future of your union around a comforting bonfire, and take advantage of on-site lodging before or after the big day. When celebrations comes to a close, simply retreat to one of the property’s vintage farmhouses to relax with a few of your nearest and dearest. Overall, The Barn at High Points Farms prides itself on providing couples with a well-rounded wedding day experience that guests are sure to remember! Nestled in California wine country, Mountain House Estate offers a versatile and singularly chic setting for tying the knot. Originally designed as a wedding venue, you can ensure that you and your beloved will have a beautiful day on a gorgeous property that is exclusively for your enjoyment. Imagine sharing your first kiss as spouses on a vibrant green lawn overlooking a picturesque private pond, saying “I do” beneath the shade of a grand oak on a terrace lined in vintage-style wrought iron fencing, or exchanging your vows with a rustic barn of reclaimed wood as your backdrop. Celebrate your union in a unique bar area complete with elegant arched wood ceiling that recalls the inside of a wine barrel. Allow the festivities to spill out on to an expansive landscaped terrace overlooking the scenic property, or celebrate your union over the course of multiple days by staying overnight for the rehearsal dinner or estate. If authenticity is what you seek, look no further than The Big White Barn. This charming country venue is situated on a scenic 80 acres of uniquely Texan landscape, including wide grassy plains and a seemingly endless swath of clear blue sky. Before your big moment, brides can lounge in the delightfully charming suite complete with sophisticated french doors and antique-style finishes. Imagine walking down a grassy aisle on in an intimate ceremony on an open terrace, a glittering pond, swaying tall grasses, and rustic fences serving as the backdrop for one of the most important moments of your life. Dine on delectable food and dance with your beloved beneath the shade of an expansive pavilion on the barn’s side, providing a gorgeous view of the surrounding lands and a truly unforgettable Texas sunset. Despite being located only a short distance from Healdsburg, The Ranch at Lake Sonoma has an exclusive wilderness field that truly can’t be beat. Perched on a scenic ridge overlooking Lake Sonoma, this venue allows you and your guests to enjoy vistas brimming with tree-dappled hillsides and waters that sparkle under the sun. This stunning view could be the backdrop for saying your “I do’s,” creating photo-ops that are sure to be the pride of your wedding album! Rejoice in your new marriage beneath the turquoise skies surrounded by rustic fencing or move into the unique barn space to toast to your marriage beneath a beautifully beamed ceiling dripping with string lights. Located on a secluded 120-acre property in the woodlands of Great Barrington, 250 Long Pond offers a picturesque setting that can be used both as venue for your wedding day and a weekend getaway! Celebrate your union in the rustic red barn beneath soaring ceilings, surrounding yourself with rustic chic decor that is sure to charm guests. If you prefer the outdoors, dine and dance the night away beneath an airy white tent on the lush lawn and take full advantage of the scenic country vistas that the property has to offer. For the remainder of your stay, enjoy relaxing in the stately main house or guest house. Boasting a beautiful modern architectural style, this striking building features sky high ceilings and floor-to-ceiling windows that welcome the natural light inside. Other activities to be enjoyed during your wedding weekend include saltwater pool, a hot tub, and endless options for running and biking trails. Tucked away in the south’s rolling hills, Howe Farms exudes a singular sense of seclusion despite being located only minutes away from Chattanooga. This expansive property offers a sense of peace and tranquility that few venues can provide, thanks in no small part to the stunning seven-acre lake situated at the farm’s entrance. 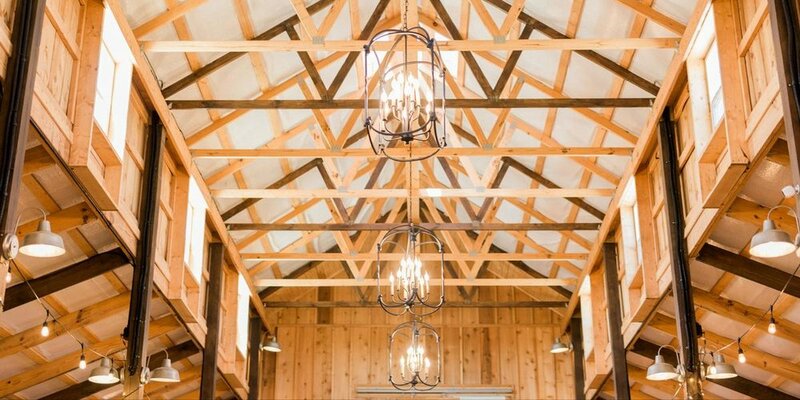 The dual-purpose barn -- perfect for hosting both your ceremony and reception -- is undeniably large with its sky-high ceilings, expansive windows, and mezzanine. However, the unique still manages to retain its quaint country feel thanks to its intricate wooden beams, wood interior, and vintage-style finishes. This unique building also offers comfortable suites for the bride and groom to prepare for their big moment. Perfectly intertwining classic country comfort with grandiosity, Howe Farms is an ideal pick for guests hoping to channel a little Southern hospitality on their big day. Despite being newly constructed, Vennbu Hill still manages to channel that perfect farm wedding ambiance with a little touch of modern elegance. Originally planned with a seamless wedding day experience in mind, this venue offers dedicated spaces for your ceremony, cocktail hour, and reception. Imagine tying the night beneath the shade of a stately tree at the edge of a field, allowing you and your guests to enjoy the rural scenery as you say your “I do’s.” Sip on champagne on the barn’s expansive terrace as you drink in the colorful sunset. Once you are ready to celebrate, share your first dance as husband and wife in the ballroom-like space complete with elegantly arched ceilings, exposed wood, and a sparkling chandelier. Intertwining country charm with modern amenities, Vennbu Hill is a fantastic pick for any farm-loving couple. Perched on a scenic hillside just above the stunning Russian River Valley, Copain Winery’s views truly can’t be beat. Boasting unforgettable vistas of nearby vineyards, rolling hills, and coastal mountains in every direction, it’s easy to see why this property is ideal for saying “I do.” Imagine exchanging your vows beneath a dignified oak tree at The Hill Top, a romantic spot secluded from the rest of the property. The nearby overlook is ideal for enjoying cocktail hour or hosting a more intimate ceremony with unforgettable valley views. Delight in a delectable diner in the tasting room, which boasts a singular combination of industrial and rustic touches such as wood barn doors, dark-planked ceilings, white finishes, and polished concrete floors. If you have been searching for an idyllic setting that spotlights the surrounding landscape, then Copain Winery will be a great match for you and your beloved. Nestled amidst the bucolic hills of Oregon’s wine country, Zenith Vineyard offers a luxurious yet timelessly elegant experience that only a vineyard could provide. Primp and pamper in the luxurious bridal suite before taking your walk down the aisle at the vineyard’s edge, acres of grape wines expanding behind you to meet the hills beyond as you exchange your sacred vows beneath an elegant wrought iron gazebo. Sip on the finest wines and champagne on the expansive patio, drinking in views of the secluded property as you mingle with your guests. The spectacular ballroom is sure to impress with its 20-foot ceilings and first class finishes, including a beautiful iron chandelier, rustic fireplace, and expansive glass doors that open out to the views beyond. Zenith Vineyard is perfect for the couple hoping to channel a french country feel in the countryside of Oregon. Known for its sense Southern elegance and timeless sophistication, Ramble Creek Vineyard offers a charming venue that guests are sure to remember. The Ramble -- the vineyard’s primary indoor venue -- is an expansive space of truly unsurpassed beauty. The sky high vaulted ceiling twined with intricate cedar columns and exposed wood beams creates an immediate impression. This sense of wonder is only further enhanced by the great fireplace, a antique-style chandelier, and wide windows that welcome the natural light inside. You can allow the festivities to spill out onto the covered deck, providing you and your guests an opportunity to enjoy the fresh air and property views without worrying about the weather. For an outdoor celebration, look no further than the beautiful location at the edge of a sparkling lake -- channeling feelings of tranquility and peace as you celebrate your union. Ramble Creek aims to conjure the effortless elegance of simpler times, and does so with great success to the delight of couples and guests alike. Jul 20 10 of Our Favorite Waterfront Wedding Venues in the U.S.